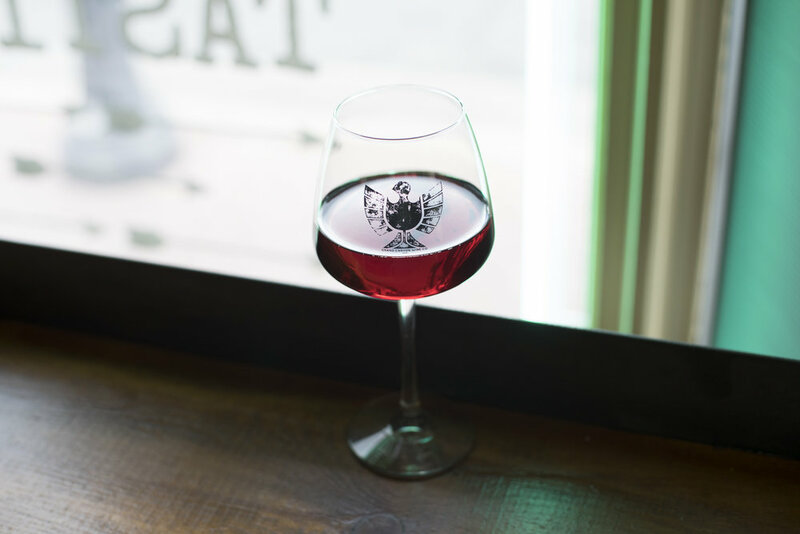 Even though these blogs are normally focused on beer, beer styles, and all things hoppy and malty - here at Historic we are also a bunch of secret wine lovers. And I bet you didn’t know that within the Historic Brewing Company family of businesses we also produce wine and have a wine tasting room out in Williams. Our sister company, Grand Canyon Wine Company, produces Arizona wines in a variety of different styles, all custom made for us to be equally as awesome as our beers. Every season, we work with local Arizona vineyards to create amazing wines that show off the diversity of the grapes grown in Arizona and highlight just how incredibly delicious drinking locally can be. Most of our grapes are grown in Verde Valley and Wilcox and we produce both red and white wines. We want to make producing, tasting, and drinking wine an experience that isn’t fussy or pretentious, but instead just downright awesome. While the wine styles we produce change every year depending on what grapes were grown that year, what styles are trending currently, and what just sounds damn good to drink, we always focus on producing the best wine that we possibly can. We serve our wines out of our Willams tasting room, our William's restaurant Station 66 Italian Bistro, Barrel + Bottle House - Williams and Barrel and Bottle House - Flagstaff in Downtown Flagstaff. We also sell full bottles in the tasting room and can ship our wines through online sales and our quarterly wine club membership. Our wine club membership is free to join and there is a package that fits every type of wine drinker out there. Members choose the right package for them depending on how much wine they’d like to receive and what styles they prefer to drink, and then they are shipped new bottles four times a year. You can join our wine club via the Grand Canyon Wine Company website or by coming into the tasting room in Williams and signing up in person. The secrets out now, we not only love tasty beer at Historic Brewing Company but we also love a delicious glass (or three) of wine. If you haven’t had our wine yet, what are you waiting for? There’s a glass waiting for you today!